U9 1st Year Registration + Stringking Bundle ($125 + $100 = $225 $200) Save $25 with this bundle! U9 2nd Year or U11-U15 Registration + Stringking Bundle ($200 + $100 = $300 $275) Save $25 with this bundle! Available on our online registration page! The Stringking Complete gives players a great stick, that is instantly ready to perform, and at a family-friendly price. Too many youth players are using lacrosse sticks with poor pockets or heads that are too advanced for their age or ability. This makes it harder to improve and it takes away from the most important part of playing lacrosse - having fun as you grow your stick skills. 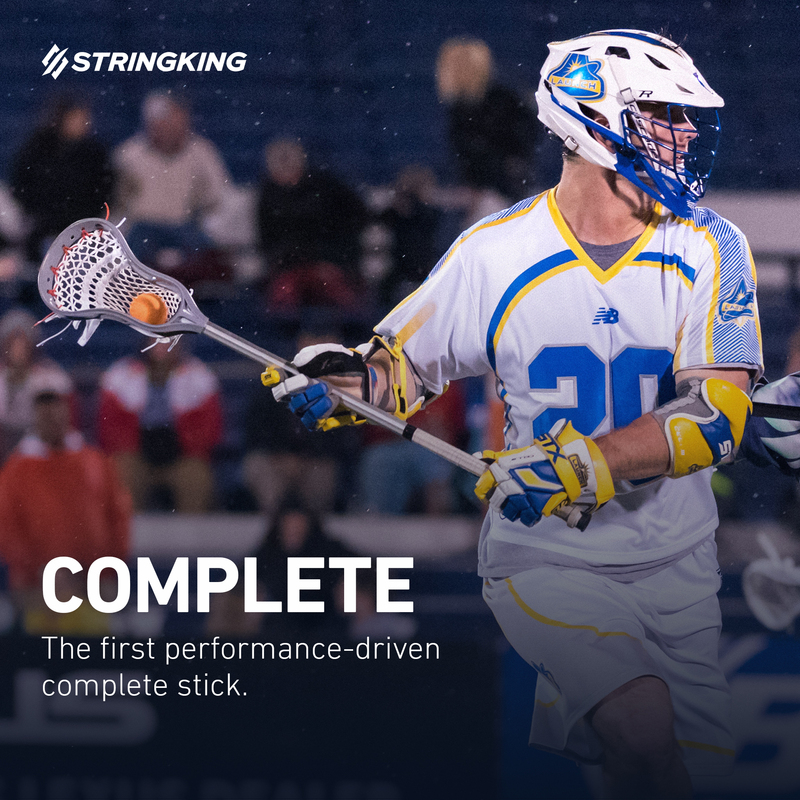 Click here for more information about the Stringking Complete stick.